2K Sports has released a new roster update for NBA 2K14, covering both the First-Round Playoffs and Conference Semifinals. It includes updated ratings and rotations for the eight second-round playoff teams. There haven’t been any big moves yet in the NBA that would be reflected on NBA 2K14. Get the most current NBA 2K14 roster for your PC, Xbox 360, PS3, Xbox One and PS4. It will automatically download the latest version as long as your console is connected to the 2K server. You can download the patch below for performing a manual installation on the PC version. 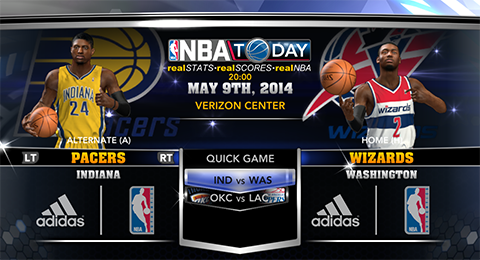 Look out for more roster updates throughout the 2013-2014 NBA postseason as and when available from the NBA 2K team.